One of the benefits of portfolio and programme management is the ability to optimise the use of people and resources. What applies here can also apply to any organisation to some extent. Optimising the use of resources is always easier if a systems rather than a silo approach is taken to resource management. 1: Have a common standard across the organisation for workload forecasting. 2: Get a good understanding for the demand on individuals time. 4: Understand the supply of resources, people and skills, and what the constraints are. Resource management needs planning from two perspectives capacity planning for the long term and resource planning for the immediate period of operations. In its simplest form value can be defined as achieving the objectives of an individual project. From the company perspective value should be defined as achieving the objectives of the company. 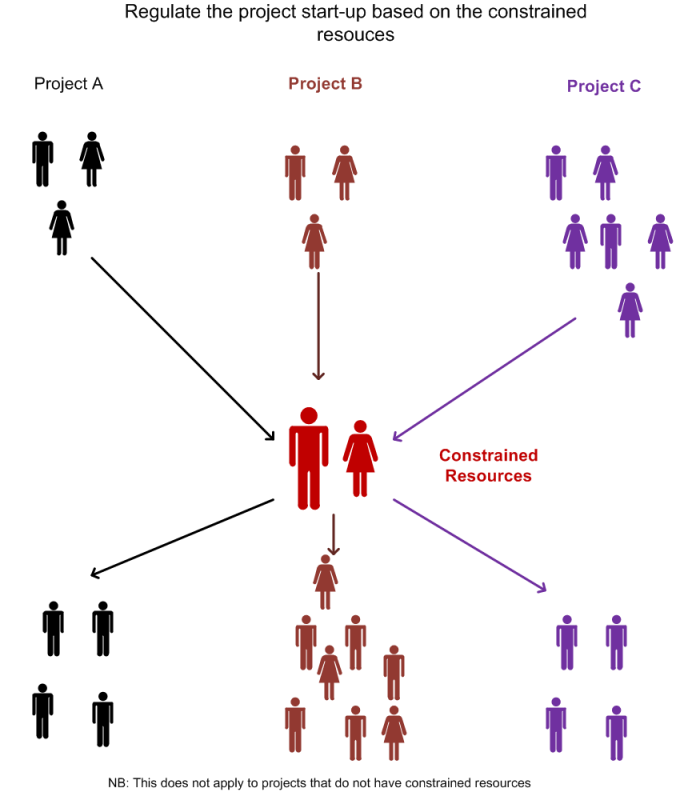 This means that some projects may be held back while others are given preference on constrained resources.